If your digital existence is wrapped up in Facebook, the new ‘Save’ Button may be of interest to you. The feature allows you to save things you find on the Web — like that new pair of shoes you’re eyeing or an interesting article — and save them for viewing later. In Facebook. 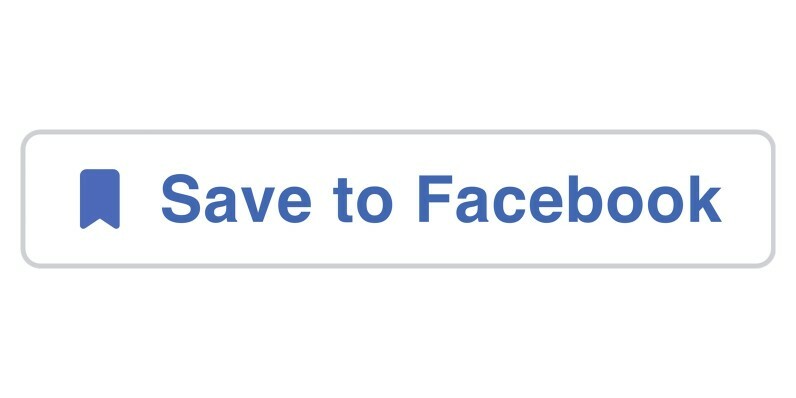 The Save Button leverages what’s already good about Save to Facebook, but brings it to the entire Web. It’s like taking a little piece of Facebook with you everywhere you go, digitally speaking. Yes, it’s basically Pocket or Safari’s ‘read later’ feature, just for Facebook. Like its competition, Facebook says you’ll be able to visit your saved stuff on any device — of course via the Facebook app or mobile Web. Save Button is launching with Overstock and Product Hunt, so look for it there today. It’s also available today for developers, so expect those working on Web development to find a use for it on their Websites in short order.